At Gourmet Cafes, the sky’s the limit when it comes to specialty catering stations. We always do our best to help you envision the event of your dreams. Here are some of the other specialty catering stations we can provide. If you don’t see what you’re looking for, just ask! If we cannot do it, we will do our best to refer you to one of our fellow caterers who can help you. Treat your guests to gourmet hot chocolate with all the fixings. 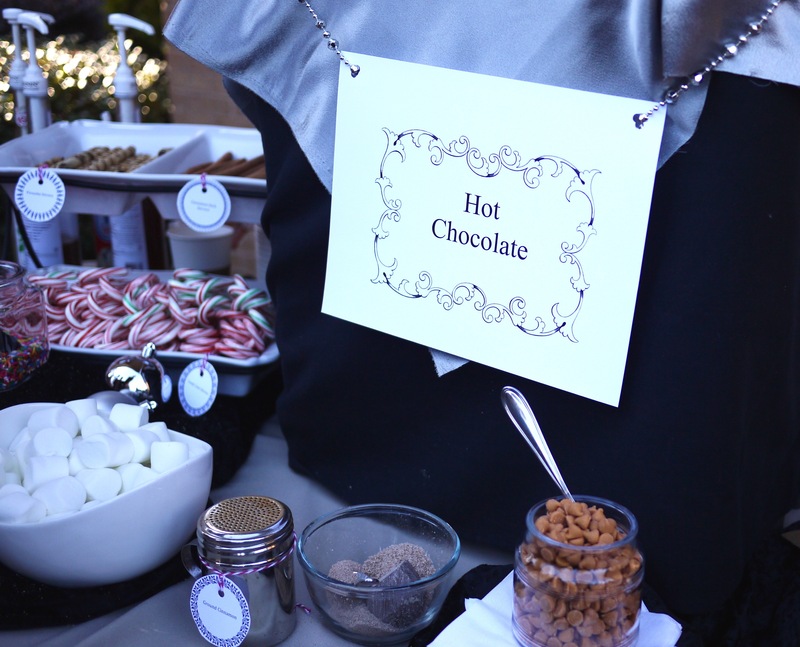 A popular offering at winter weddings, kids’ birthday parties, or employee appreciation events, our beautiful hot chocolate bars feature toppings such as marshmallows, whipped creams, flavored syrups, sprinkles, chocolate shavings, with Pirouline wafers or peppermint stick stirrers. We can provide you with staffed or self-service tea station featuring an urn of hot water and an array of black and herbal teas, along with sugar cubes, honey, lemon wedges, and other condiments. Ask us about our cotton candy, popcorn maker, snow cone machine, and other specialty catering stations. They’ll help make your event unique and unforgettable!